Project requirements vary based on the specific project and application. During the design and build phases, it’s important to understand how the building material will perform for the specific application. To assist with this, each project has a set of guidelines and best practices to help project designer and builder achieve success. Understanding requirements for your specific project is important. This will help avoid confusion, mistakes, miscalculations and ultimately project failure. One way to understand a specific requirements is to use existing data provided by the building material manufacturer. While this data is helpful, it’s crucial to make sure that the information is valid and will provide accurate information. 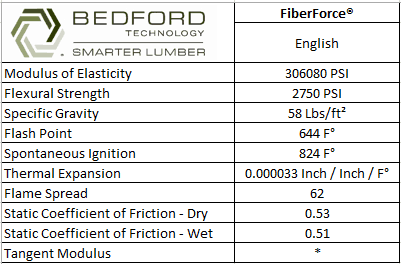 To help ensure that you are getting the proper information, here are a few common technical performance properties and how they are used in structural recycled plastic lumber by Bedford Technology. Structural recycled plastic lumber is a durable, strong and long-lasting building material that acts as a great alternative to wood, metal and concrete. The following technical properties are important when understanding how this building material will perform according to design and manufacturer’s guidelines. The modulus of elasticity directly relates to the stiffness of the building material. In the plastic lumber industry, the secant modulus of elasticity is generally the accepted standard measure of composite polymer stiffness. The amount of deflection or movement of a building material will decrease as the stiffness of a building material increases. For structural applications, this specification is important to ensure undesired conditions do not occur throughout the life-cycle of the product application. The secant modulus is an important consideration that engineers and architects utilize when ensuring the design of robust structures. Flexural strength relates to the structural integrity of the building material. The flexural strength, or modulus of rupture, is the point at which the material will break, or fail. This project requirement is very important as it relates to the quality of the structure and the ultimate strength of the boards. Along with the secant modulus of elasticity, this performance characteristic gives you the point at which the material will fail, so keeping the weight limit below this level will ensure a strong foundation. Specific gravity relates to the density of a building material. It provides an easy calculation to determine if a building material will float when immersed in water. This is helpful for in-water applications to understand how the material will perform. It also identifies the dead weight characteristic of a material which helps engineers and material scientists determine the creep or sag of recycled plastic lumber due to time and temperature effects. The flash point is the temperature at which a material will ignite into a fire if a spark is provided. Spontaneous ignition is the temperature at which a material will ignite into a fire if NO spark is provided. 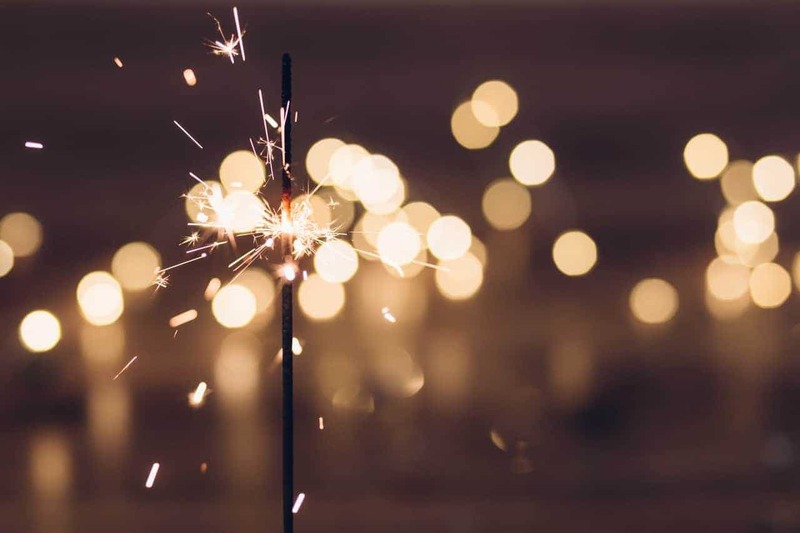 It is important to understand how the building material will react in high temperatures, especially if the application will potentially be exposed to sparks. Note: Please make sure to understand the properties of the material and how it relates to tools and machinery. We recommend using sharp blades to ensure that the material doesn’t get too hot from cutting, drilling and fastening. Thermal expansion is the tendency of a material to change shape, volume or area as a result of a change in temperature. Expansion and contraction is a common occurrence with High-Density Polyethylene (HDPE), and it’s important for designs to account for this movement. Understanding the movement and temperature of HDPE will ensure a successful installation the first time. The flame spread shows the inclination in which a material will burn rapidly and spread flames once it has already caught fire. It’s important to understand if and how building materials will burn. For indoor applications, this is especially important. This is the value that represents the relationship between the force of friction and the normal force between two objects. The value can be represented when the objects are dry and when they are wet. This is important because in applications like decking, boardwalks and walkways, this specification helps specifiers understand the conditions in which the material is safe to walk on. *please note that this technical specification is not an industry standard, therefore Bedford Technology does not report this calculation. This technical specification has caused confusion in the past, especially in the plastic lumber industry. The actual tangent modulus calculates the stiffness rating of a particular building material. This calculation must be an accurate measurement of stiffness to truly understand the product performance in the application. However, some publications use a different calculation and call it the “Tangent Modulus”. The actual value that is published is the INITIAL Tangent Modulus. The result is a value that only calculates the initial stiffness when weight is applied. It doesn’t calculate the material stiffness when steady pressure is applied. For example, in boardwalk applications, the initial tangent modulus calculates the stiffness when someone steps on the boardwalk. The actual tangent modulus calculates the stiffness when someone continually walks on the boardwalk. This can be quite misleading because the initial calculation is a much higher value than the actual tangent modulus of a material. If you’re using the initial tangent modulus value, it will overestimate the stiffness of the product which causes an unrealistic expectation of the product performance. Bedford Technology utilizes the secant modulus, which is industry standard. This specification will give you the accurate calculation to rate the stiffness of the plastic lumber material. Please Note: Be careful if you encounter “Tangent Modulus” and double check that this calculation is referring to the secant or actual tangent modulus.